Cycling improves your immune system. They say exercise is the best medicine. Sports help keep the muscles in shape. They help preserve the stable level of body fat and cholesterol. A study has shown that cycling can hold back the effects of aging. It also modernizes the immune system. The scientists did a research on 125 beginner cyclists aged between 55 to 75. They then did a comparison of those cyclists with healthy adults from a wide age group who did not exercise regularly. The conclusion was summed up in two papers in the journal called Aging Cell. It was deduced that the cyclists preserved muscle mass and strength with age while maintaining stable levels of body fat and cholesterol. In men, testosterone levels remained high. An organ called the Thymus, which makes immune T-cells regularly starts to lessen from the age of 20. But the Thymus of older cyclists was found to be generating as many T-cells as those of the young people. Several studies have shown that the people who cycle have several benefits. Gives you legs of steel. Reduces the risk of diabetics. Improves the mental well being. Improves handling and special awareness. Vitamin C is one of the best anti-viral agents. White blood cells require vitamin C to fight against the infection. It is also used for rejuvenating you when you don’t feel like working. Cherries have nutrition in them. The rich red color comes from anthocyanin, a super anti-inﬂammatory and antioxidant. It also contains ellagic acid and vitamin C. In winters, cherries are not fresh. The drink containing 100 percent Montmorency cherries is known as CherryActive. CherryActive is an excellent after-exercise recovery. CherryActive is taken by various popular cyclists. CherryActive can also lessen the muscle sickness and soreness. Being a natural source of melatonin, it promotes a relaxed and restful sleep. 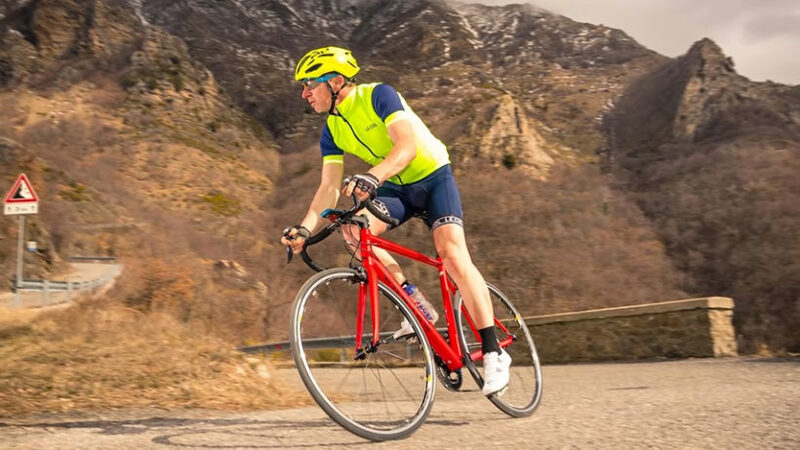 Nutritional advisor to British Cycling Nigel Mitchell includes CherryActive in the endurance squad’s nutritional strategy and it was a key product consumed in the Beijing Olympics. If you want a speedy after-exercise recovery, cycling in this context, try elderberries. Elderberries are high in antioxidants. It is accessible as extracts (often sold as Sambucol), throat sprays, capsules, lozenges, and drinks. It is beneficial for ﬁghting fever and viruses, reducing muscle pain and tackling sore throats. It will get you back on your feet quickly. It will also boost your overall immune system. Green tea is rich in antioxidants. Uncaria tomentosa or cat’s claw is Woody vine. Woody vine has been used to treat cancers. It has immune-stimulating, antioxidant and anti-microbial properties. It is best taken when the early warning signs of an infection start to show. Cat’s claw comes in capsules or in the form of tea. Take two cups a day, sweetened with a little manuka honey (another bug-buster) and you are good. Iron is fundamental to the immune system. It can frequently be wasted with intense exercise. Good quality foods that contain iron include lean meat, poultry, ﬁsh, dried fruits, and leafy green vegetables. But don’t go furious on supplements, as too much iron can actually be counterproductive. The active ingredient and the one dominant in garlic’s powerful odor is allicin. Allicin is anti-viral, antibacterial and anti-fungal. It’s also rich in sulfur, making it a perfect detoxifying agent. Sunlight helps your body make vitamin D. vitamin D is important for health. Vitamin D is found in dairy products, eggs, and oily ﬁsh. Mushroom has been used to support the immune system. It is rich in polysaccharides and sugar compounds. Cyclists are especially exposed to respiratory infections. Mushrooms such as cordyceps, shiitake, reishi, and maitake are all potent immune enhancers, useful for boosting energy, combating exhaustion and promoting immune-cell function. Antioxidants play a vital role during the winter months. Some of the best sources are fresh fruit and vegetables, nuts and seeds. By including a wide range of fruits and vegetables in your diet, you can maximize a variety of different plant antioxidants such as carotenoids and ﬂavonoids, which are fantastic immune boosters. Not only is the sleep important for repairing muscles but it also stimulates your growth hormone. A balance exercise can energize your own body’s resistance three to five times a week. Over-training can stress your immune system. It deprives your body of key nutrients, particularly B vitamins and antioxidants. It also makes you weak. Exercising too much means you’re not giving your body adequate time to get back. Early warning signs include illness, injuries and decreased performance. In short, take at least one day off exercising per week and ease up if you’re suffering from ongoing soreness, aches, and pains. Essential oils not only attack bacteria but can also boost white blood cells. Eucalyptus and lavender are popular oils used in massage blends for immune strengthening. Great for moderate burned out limbs after a long ride. Grapefruit seed extract is also known Citricidal. Citricidal is a powerful antibiotic, anti-fungal, and anti-viral agent. Citricidal is especially useful if you’re traveling because it comes in the form of a liquid concentrate, a couple of drops of which can be added to water and swallowed or gargled. It can even be used as ear drops, depending on the site of infection. Cycling boosts one’s mental as well as immune health. A good cycling regime can have a huge impact in the long run. A good immune health, in turn, can lead to fewer diseases and overall good physical health as well.